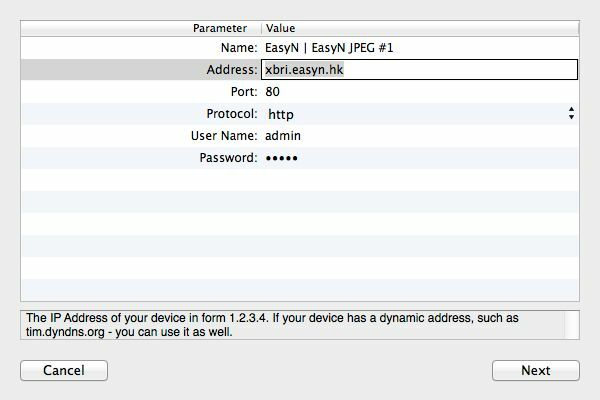 How to setup IP Camera Recorder on Mac? Make sure you have Mac OS X 10.12 or later. 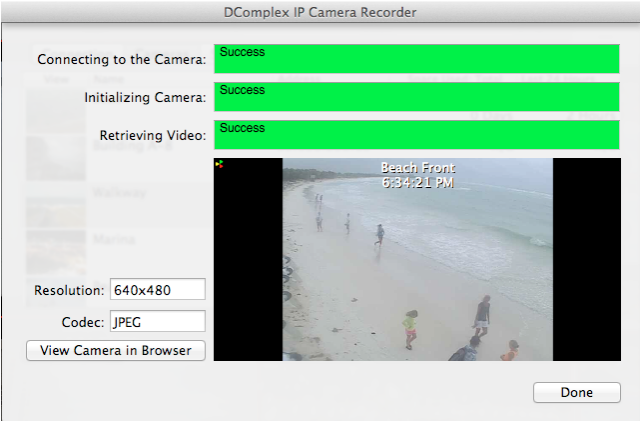 Download the latest version of IP Camera Recorder from DComplex Store. 1. Select the "IP Camera Recorder for Mac" item and follow the Installer's instructions. 3. 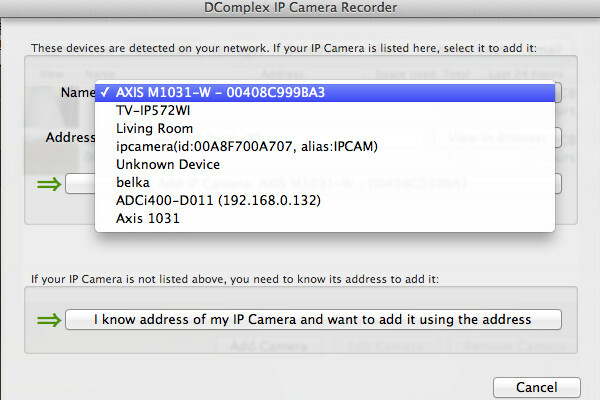 Once you launch the app, it will search for the DComplex IP Camera Recorders on your Mac. You new recorder will be automatically detected and added into the Cameras sidebar. The app will prompt you to add a camera. Later, when you need to add a camera click the "+" button and select Add Camera menu. 6. Enter Address and Port of your camera. Make sure that you can connect to the camera using the address and port in the Safari app. For most cameras, you will also need to enter username and a password. The default username and password are usualy printed on the back of the camera or in camera User Manual. 7. Click the Next button. The camera 's connection status window will open. 8. Close the Configuration window and see your camera in the app. Keep adding the cameras usign the + (Add) menu. To edit a camera, select the Edit menu. To search for recorded video, click the Search menu.